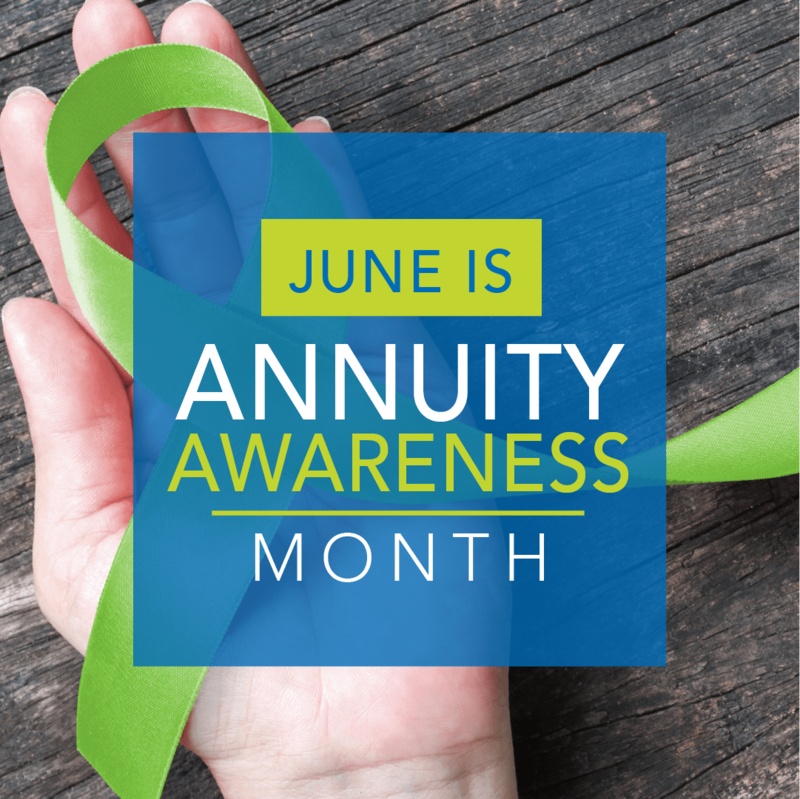 June is “Annuity Awareness Month,” so we thought we would share a little bit of information about them. Here are 5 things you should know. Annuities are similar to a pension. An annuity is kind of like a pension you can buy for yourself from an insurance company. You basically exchange a sum of money for an agreed-upon monthly payment that starts immediately, or later. They’re not right for everyone. Because pensions are pretty much a thing of the past in corporate America, it’s tough for people to take control of their retirement income using a 401(k). The 4% Rule—withdrawing 4% of your money every year—most likely won’t cut it, especially if the portfolio is too risky like we saw in 2008. That’s why for some people, putting part of their retirement savings into an annuity may make sense, so that they can have a reliable monthly income in retirement. For others, maybe someone with a health issue or a family history that indicates they might not live as long as average mortality tables predict, annuities might not make sense. Additionally, surrender fees apply if you want out of your contract early. There are tax-deferred, qualified annuities available. Annuities can be purchased with pre-tax or after-tax dollars. Sometimes people do a 401(k) rollover into an annuity with money either 1) from a previous employer or 2) after they turn 59-1/2 years old, when they can access their money without a 10% federal tax penalty. When purchased with pre-tax dollars, an annuity can offer tax-deferred growth, just like other defined benefit or qualified accounts. You’re not taxed on interest earnings while your money stays in the annuity, but once you start receiving payouts, which are mandated just like a 401(k) or traditional IRA, they are taxed as ordinary income based on your income tax rate at the time. Annuities in non-qualified accounts purchased with after-tax dollars are not subject to penalties or mandatory distributions based on age. There are many different types of annuities. However, not all annuities are necessarily a good deal. It is very important to work with a trusted financial advisor who can compare pros and cons, fees and costs for you to help you assess suitability based on your unique situation. And if you do buy an annuity, working with a highly-rated insurance company is critical. Many types of annuities come with guarantees. One of the most appealing things about annuities is the guarantee. Because most annuities are not directly invested in the market but instead are contracts between you and an insurance company, the insurance company often guarantees that your principal will be protected based on their financial strength and claims-paying ability. Some annuities also guarantee a certain amount will be credited to your policy based on contract terms; while many indexed annuities deliver “downside market protection” as well as “upside market potential.” The exception is a typical variable annuity, which is invested in the market and can lose value in a market downturn. Some Wall Street experts are now advocating annuities as a replacement for part of your bond portfolio in retirement. There are several new studies that have been done recently, including one in March of 2018 by Yale Emeritus Professor Roger Ibbotson. His landmark study ran hypothetical return simulations comparing stocks, bonds and fixed indexed annuities (FIAs) from 1927 to 2016. If you have any questions about your retirement, or about annuities, please call Alpha Beta Gamma Wealth Management in Florida at (866) 837-0999.